He was a believer in Christ. He was a veteran of the Korean and Vietnam Conflicts having served his country honorably in the United States Air Force. He was a former employee of Lake Cumberland Regional Hospital. Lewis struggled with Alzheimer’s for several years, and now he is at peace. Somehow, he handled the diagnosis and all the horrible effects with grace. 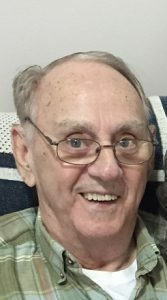 Some of his most favorite things were WILDCATS, family Rook games, big Hardin family reunions, camping on the riverbanks, FISHING, finding a good fishing hole, finding crazy worms to go fishing, talking about fishing, and frying fish for family and friends. He was kind of famous for his loud laughter, back-slapping hugs, love of dancing, and pitching children high into the air with them screaming, “do it again.” All his nieces and nephews (and there are a bunch, as Lewis was one of ten, including his twin sister!) still talk about the delight they felt when he was around. He loved playing with them almost as much as fishing. He is survived by his wife, Mary Mings Hardin of Campbellsville; one son and two daughters: Greg Hardin and wife, Pam of Columbia, Beverly Knifley of Campbellsville and Sherry Duffy and husband, Bill of Shepherdsville; eight grandchildren; eleven great-grandchildren; one brother and five sisters: Carl Hardin and wife, Phyllis, Wanda Combest, Frances Hutchens, Ann Mills, Juanita Newman and Patsy Johnson and husband, Doug; several nieces and nephews and many other relatives and friends. He was preceded in death by one brother and two sisters: William Hardin, Celestine Siers and Beulah Watson. Words cannot convey the family’s appreciation for Bluegrass Assisted Living in Campbellsville and the Radcliff Veterans Home. He was loved and well cared for by many. 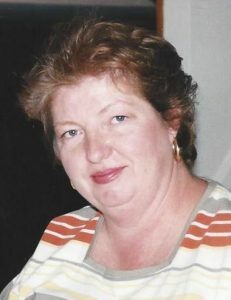 A Bloomfield resident, Ms. Elizabeth Ann Reynolds Seaton, age 64 passed away Thursday, April 18, 2019 in Hosparus Inpatient Care Center in Louisville. 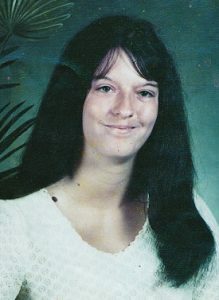 She was born April 14, 1955 in Taylor County to the late Romey and Phyllis Ann Richerson Reynolds Sr. Ann was a nurse at Central State Hospital and in the NICU at University of Louisville Hospital, as well as Hospice, home health, and a travel nurse. She was a member of Bloomfield Baptist Church where she founded the Care Core Ministry, was a Girl Scout Leader, a Therapeutic Foster Parent for over 20 years, a Louisville Zoo Docent, and volunteered for the Humane Society. Ann’s main goal in life was service to others. She is survived by her daughter, Katie Seaton of Bloomfield, her son, Donald Martin of Mt. Washington, 3 sisters, Carrie (Ricky) Hahn of Bloomfield, Elaine (Jim) Mings of Zelienople, PA., Celia Pendleton of Campbellsville, her brother, Romey (Tina) Reynolds Jr. of Fort Thomas, and her grandson, Eli Martin. Several aunts, uncles, nieces, nephews and cousins also survive. The family followed Ann’s wishes of cremation. A memorial service will be 1:00 pm Saturday, April 27, 2019 at the Bloomfield Baptist Church. Visitation will be Saturday from 11:00 am until time of the service. The family requests that expressions of sympathy take the form of contribution to the Bloomfield Baptist Church Missions Fund or the American Diabetes Association. The Houghlin Funeral Home of Bloomfield is in charge of arrangements. She united in marriage to Buddy Wise and he preceded her in death September 28, 1990. She later united in marriage to James Shively and he preceded her in death March 10, 2019. Banda enjoyed horses and favorite hobbies of hers were fishing and sewing. She also loved spending time with her family. Jason Wise of Canmer, Paula Gray and husband, Kevin of Cincinnati, Ohio and Michael Jordan and significant other, Molly Collins of Dayton, Ohio; twelve grandchildren: Jordan Farrell, Peirson Farrell, Kylie Jordan, Ryder Dotson, Wyatt Dotson, Sophia Wise, Maci Wise, River Wise, Madaline Curry, Max Curry, Bruce Curry, Gage Jones; her former spouse, Paul Jordan and many other friends and relatives. She was also preceded in death by a brother, Danny Williams.